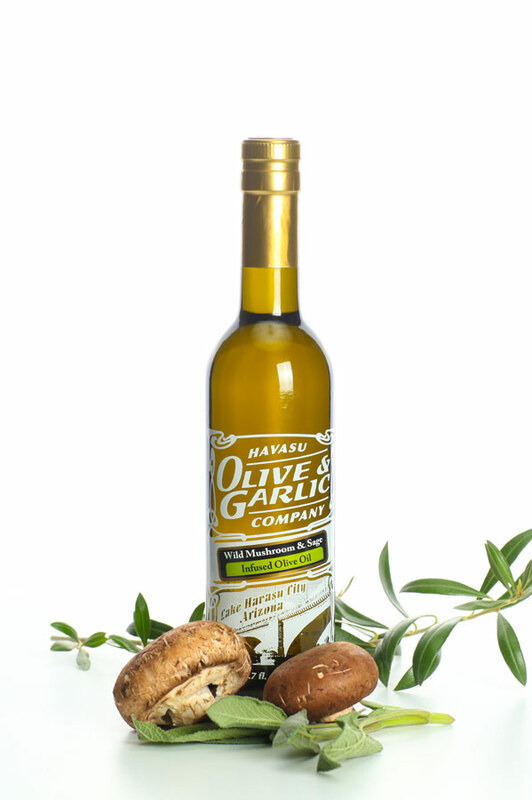 Product code: Wild Mushroon & Sage Infused Olive Oil Category: Infused Olive Oil. Delicious combination of fresh herbaceous sage paired with an array of savory wild mushrooms. Try drizzled over cream of mushroom soup, on risotto, stuffing and aioli. It makes an inspired vinaigrette when paired with our Sicilian Lemon White Balsamic Vinegar . This deliciously seasoned oil embodies all the best flavors of a traditional Thanksgiving dinner. Use this warm, cozy oil in your favorite comfort foods, from stews to stuffing to roasts. It’s an ideal oil for southern cooking, and will give traditional dishes like biscuits and gravy a rich, earthy flavoring.